There is a problem, but with that problem, there is an opportunity. Flight schools don’t have enough customers. We’re not creating enough new pilots and the pilots we’ve created don’t seek enough training. I want flight schools to have more customers. For many years, to me, being a pilot meant going to get a new rating or visiting my instructor for a flight review. But, even with a flight review, the end result was always a “pass/fail” evaluation and then “see you in two years”. Looking at the professional pilots in Hartzell Propeller’s flight department, I see our expert pilots training all the time. They train for skill building sake, they don’t just train to pass a test. Professional pilots train for proficiency and they do it regularly. Why can’t we, as GA pilots, do the same thing? With the use of affordable simulators and advancing technology, top quality scenario-based training is becoming more and more accessible. The training assets available in the market for GA pilots today didn’t even exist ten years ago. It is time we took complete advantage of them. I believe there’s no excuse anymore not to get the kind of quality training that pros get as a GA recreational pilot. This has not been possible before, but it is now. I think that if we focus on it, we could change the safety equation in GA tremendously and I don’t think it will take long to do it. My hope is that all aviation organizations and leaders facilitate a movement and a culture shift that drives pilot proficiency. I get to work with many great people and companies in the industry. We’ve come together in what I can best describe as an “alliance for proficiency”. We are committed to taking on proficiency in a new way. We’ve started by collaborating at AirVenture, a perfect place to showcase training technology. We have developed a major feature in the center of AirVenture called the Pilot Proficiency Center. With EAA’s leadership and the help of 13 partners, we are offering advanced ground school subjects in our Tech Talk Forum and high-quality scenario-based simulator training. We hope that in the time between their next visit to AirVenture, pilots will look to his or her flight school for more of that same experience and make recurrent training a part of their annual discipline. I’m excited about where training is going. Scenario based training allows pilots to master and practice skills without risk and at a cost advantage. Proficiency has been sort of branded as just a safety initiative. It’s just not solely a safety issue for me. This is skill-building. This is increasing your competency at something you love to do. If you are going to fly anyway, why not raise your game through steady doses of skill building? The Proficiency Center is a demonstration site to alert pilots to what is possible. 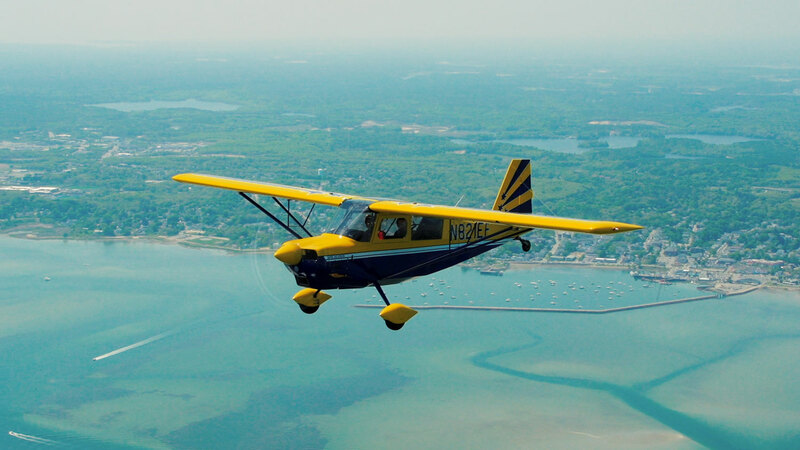 The job isn’t done in Oshkosh; pilots need to take action after the show by finding a great flight school to visit once a year. Professional pilots go to places like Flight Safety or SIMCOM. As a community, we can really push this proficiency movement, create regional pockets of excellence, and bring that type of expert training to the general aviation pilot. If pilots don’t fly airplanes and they don’t fly them well, we don’t have a GA industry. So how can we make that whole experience better? How can we cause the children of pilots to want to be pilots? These are the questions we’re asking ourselves and in the end, it has to be about proficiency. Many aviation industry leaders are coming together to show pilots the way, but we need to get those pilots through the door of the flight school to lead them home.